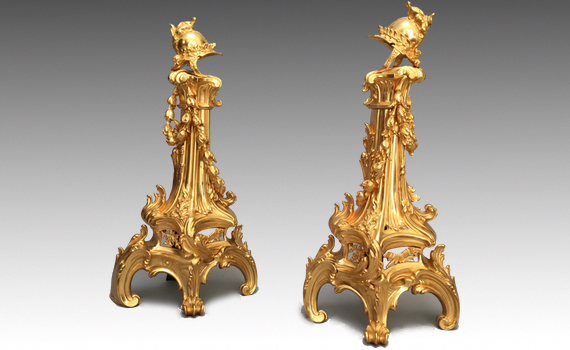 A pair of Napoleon III gilt bronze Chenets in the Louis XV rococo style. Of scrolling asymmetrical form, each cast with acanthus leaves, garrya swags and trophies of war. Regilded.